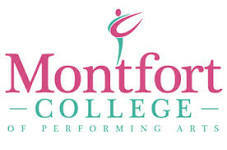 Sing/Dance/Drama Montfort College of Performing Arts is one of Ireland’s most prestigious training grounds for for children aged 3 years upwards. The college is dedicated to developing performance skills in dance, drama, singing and musical theatre as well as having fun and building self-confidence in an exciting, creative and nurturing environment. With 54 years’ experience as Munster’s leading Performing Arts College we have the experience and dedication to offer your child the very best in theatre arts training.